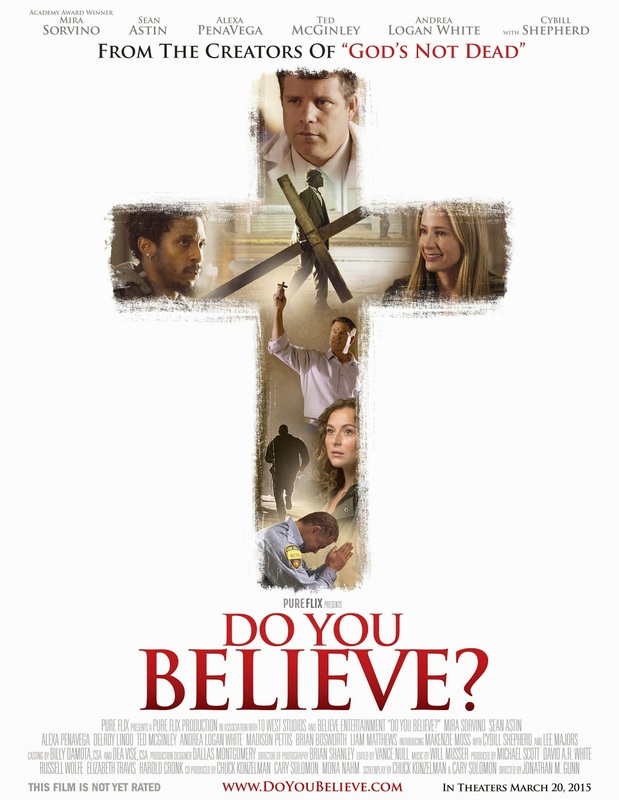 The Covered Life: Movie Review: Do You Believe? 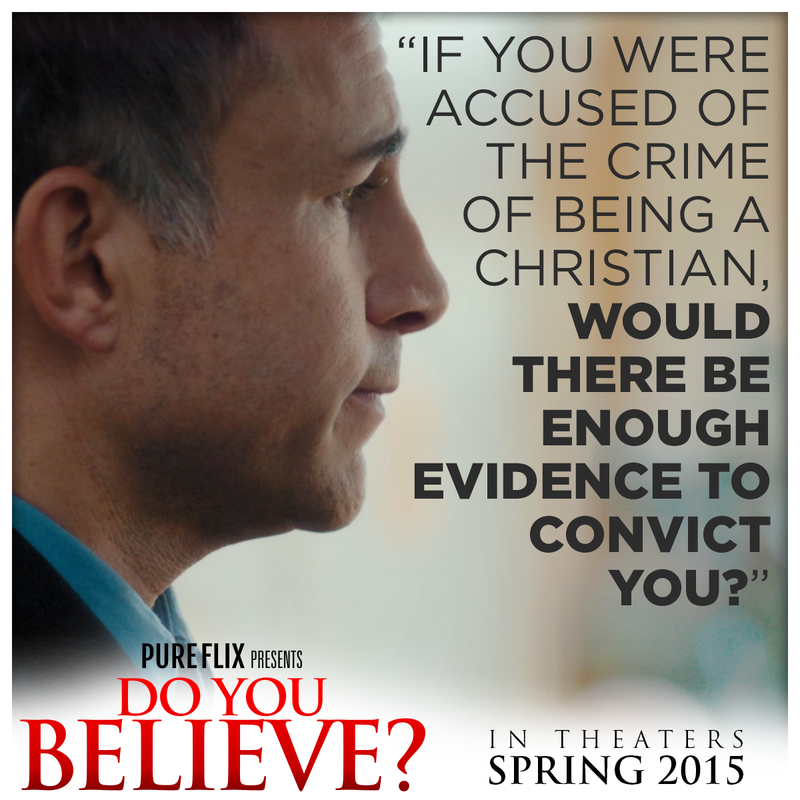 A few weeks ago, my husband and I were given the opportunity to screen the Do You Believe? movie. A bit of background first, this movie was made by the same people who made God's Not Dead that was in theaters last year. And not that this is a sequel or anything, but the creators wanted to answer the question of okay, God's not dead, now what? So they created this movie that is following the pattern of several secular movies nowadays, in that it has multiple story lines and not just the one or two main characters. And from your view you can see how they are all connected- which I personally think is fun. This movie stars Mira Sorvino (Human Trafficking, Romy and Michelle's High School Reunion), Sean Astin (Rudy, The Goonies, Mom's Night Out, The Lord of the Rings trilogy), Alexa Penavega(Spy Kids movies, Sleepover), Lee Majors, Cybill Shepherd, Ted McGinley- and so many more. The movie jumps in quickly and basically introduces you to all the main players in the first five minutes. The story is narrated by the pastor of a local church who is asked the question, do you believe in the cross of Christ, by a homeless man. As the pastor drives away, he begins to really think about this question and it radically changes his life. He then proceeds to ask the same question of his congregation the next Sunday and he gives them small crosses to take as reminders. And then we see how people respond to this huge question, Do You Believe? 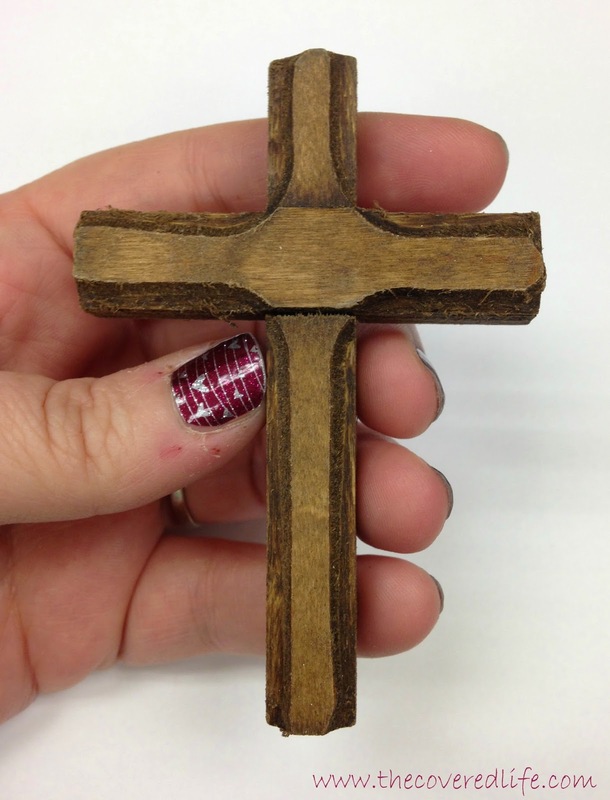 They gave us crosses like the ones used in the movie. To say this movie rocked my world would probably be a bit of an understatement. I laughed and I cried. And though this movie had all the feels, I still believe it had a strong message and provides an opportunity for lost people to hear the gospel! But what about those who are already saved? Well, I was a Christian before I went to see this movie and you may be asking how it rocked my world? I don't want to give too much of the storyline away but there were several new professions of faith by characters in the movie and there were several characters whose faith was strengthened. My biggest takeaway from this movie as a believer, is that I need to 1- share my faith with the lost and 2- love people. I know, two basic concepts I should already be doing but two very important things that I don't do enough and need to do more. Do You Believe comes out on March 20th. I encourage you to see if this movie is coming to your city and if it's not then to go to this link and request it. And when you do go see it (because you really, really should) I encourage you to invite your coworkers and friends and family who aren't saved- or who may not be producing quite the fruit they should be as well as all of your Christian friends!